142,02 € прибл. 10.221,45 руб. The Suzuki Bluesmaster Harmonica Set is a set of 6 harmonicas including the keys of C, G, D, A, F, & Bb, and all come in a luxury box. 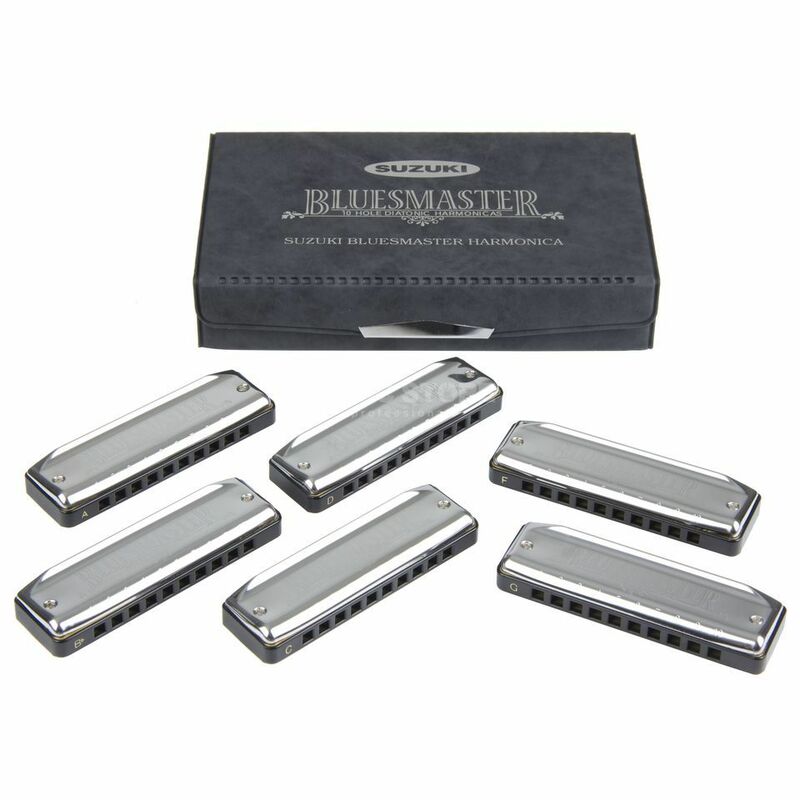 This boxed set of Bluesmaster harmonicas gives the working musician the six most popular and useful musical keys in one convenient, affordable package. Bluesmaster features Suzuki's ultra-thin, phosphor bronze laser tuned, bendable, reed system and smooth easy to handle polished stainless steel reed covers. This professional harmonica delivers superb sound projection and tonal clarity. The set includes a durable foam lined, divided case with a snap lock top that keeps your harmonicas together and positions your harps for easy access.